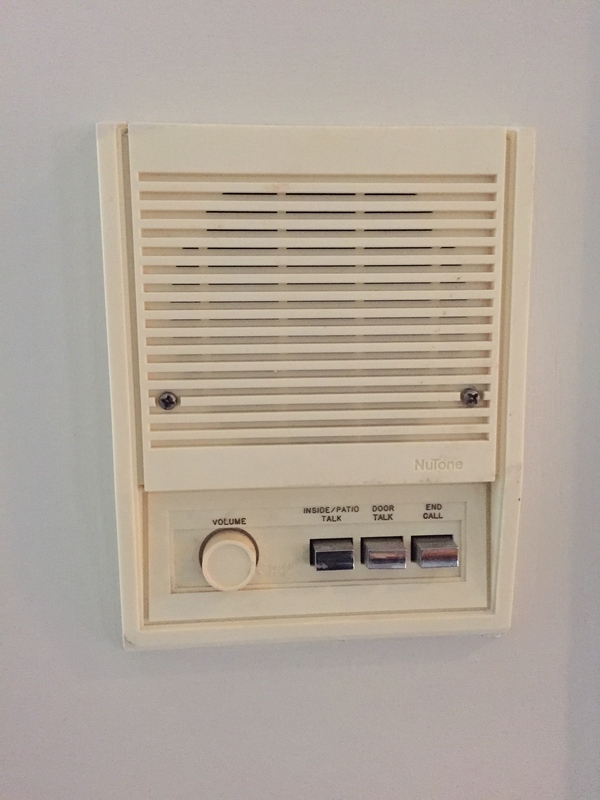 One of the curious relics from the 1980s in our house is a 5-station intercom system. Presumably, you could use it to call the kids in from the backyard or basement, or wherever else they might hide out. We have found this obsolete: In times when teenagers have cell phones attached to their hips 24-7, it’s a lot easier to text them than to try and get their attention via auditory stimuli. The only part of the system that has ever worked properly since we moved in, is the radio that was operated from the ugly fake-wood kitchen base station. 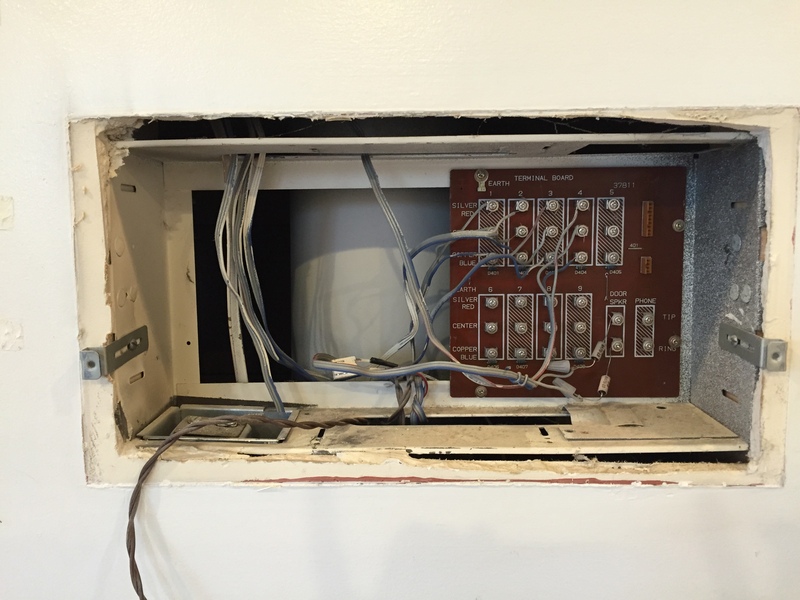 In fact, it worked so well, that it couldn’t be completely turned off. 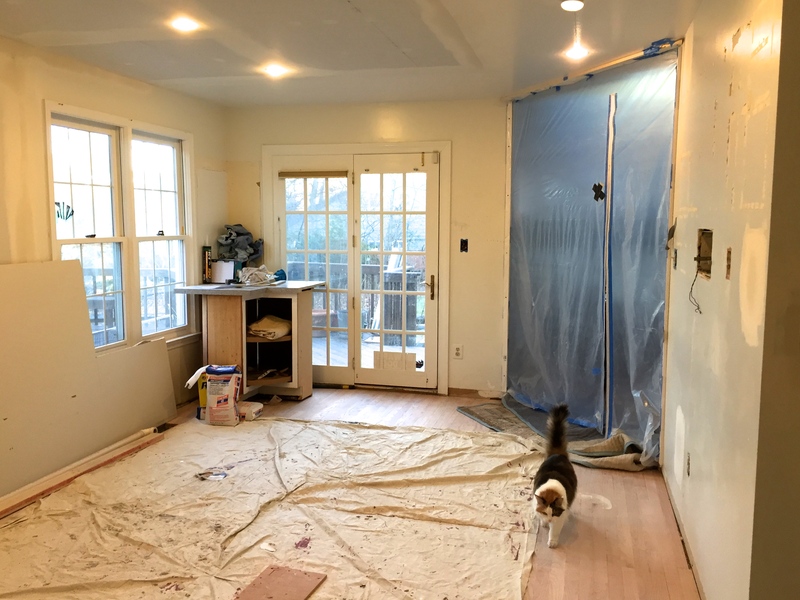 We knew it had to go, but when the electrician removed the panel today, he found that the wiring to all the other stations in the house was overall very sound (no pun intended). Now since the drywall work will be finished on Monday, we will have to make a decision: wall the whole thing over and forget about it, or retrofit with a modern smartphone/Bluetooth-controlled base station and updated speakers in whichever parts of the house we would like to play music–the basement, the deck, the master bedroom perhaps? It’s a once-in-a-house-time opportunity. I’m just not sure if we want to stomach yet another “change order.” Is it worth it? Any advice appreciated.